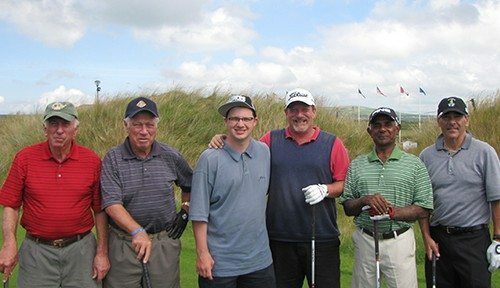 In 2002 my favorite course was Lahinch and it was up there this time but Doonbeg has made such great improvements and softened the course a little for us high handicappers that it we had our best time there. We also had the best caddie of the week there. We had a great caddie at Ballybunion also. But then, nothing beats Old Head for the view. One should go there every year to clean out their golf bag of old balls. The Hotel was the best accommodation. They have a reception person there, who was wonderful. We also took advantage of the free admission to the water park down the street. Tralee was a pleasant change from Killarney. My favorite hotel for the view was in Spanish Point near Lahinch. It wasn’t new but it was like a fine old lady sitting on the point of the bay. Nice people there too. They gave me a piece of cake with a candle for my birthday. Of course, SWING was the best agent. 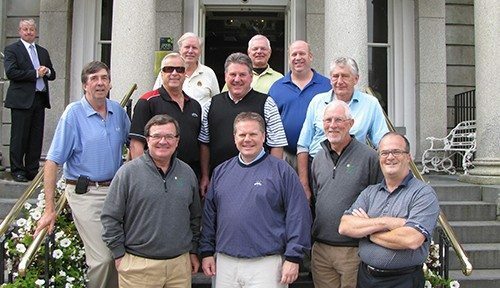 Great trip- courses, hotel and weather. I want to thank you for the fantastic weekend that my friend Gary and I have just enjoyed over in Dublin. Everything was first class except unfortunately for the golf that I played, which a few more lessons hopefully will put right!! The accommodation that you chose for us was also fantastic and we really did have a weekend that we will not forget and are already planning another trip over with the quandary of whether to play the same courses again to play the fantastic courses available there. One more I would like to thank you for a truly unforgettable weekend. 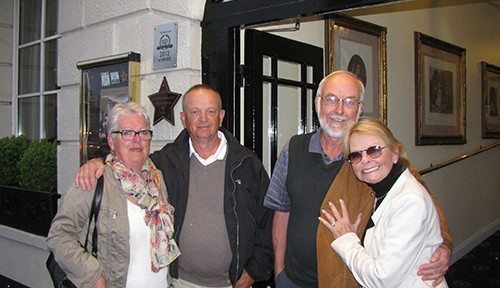 Thanks for all your help in organising our recent tour to Lahinch and Doonbeg. Everything ran extremely smoothly and the itinerary you organised was spot on. The Castle Course was a good way to ease into our weekend (not that you’d know it from our scorecards). Lahinch Old Course was everything we had hoped for..beautiful views, memorable signature holes and punishing rough. Doonbeg was the perfect course to finish: challenging but fair (few blind shots), impeccably maintained and extremely picturesque. The Collins Cup competition went down to the final match. I was leading the other captain 3up with four to play…and choked my way to a draw. Call me the Anti-McDowell. Still, my team retained the trophy and we had a wonderful weekend thanks to you and Swing Golf Ireland. Apologies for not getting back to you sooner. The trip was great, it exceeded expectations. Our driver was a great companion, a wealth of information, patient and had a great sense of humor. The lodgings were comfortable and convenient. And the golf was excellent for the most part. The courses were spectacular, each different in its own special way. We’ll be back in a couple of years, we’ll let you know. Many thanks again! Hello! I just want you to know that we had the best time in your country! Your countrymen and women treated us with open minds (thankfully) and arms. The golf was second to none! We even through in an extra round at Portmarnock the first day my brother and our other buddy flew in. We had mostly good weather and little rain considering what we could have had. The accommodations were fantastic. Doonbeg and Oldhead were the best. Swing, you guys did a great job! Thank you so much. l’ve told a bunch of people that if they go to Ireland, give SWING a call for scheduling the trip! The only suggestion I can make is that the golf trip should finish at Old Head – you just can’t beat it! It’s the best golf course on the planet. Thank you again . You made the trip “a trip of a life-time”!!! P.S. I won the Ireland Cup! Thanks, everything was wonderful (well the weather could have been a bit sunnier). The lodging was all clean and neat with great bathrooms. One of the lodgings was not one of your usuals, I know, but was excellent (good dinner too). The courses were lovely, though the golf we played on them was some times ugly. Say hi to Paddy and next time we’ll have to play Tralee with him. I have been most impressed with everything Swing Golf Ireland has done for us on our trip and what you have done with Hertz – your persistence has really paid off. We truly enjoyed ourselves and meeting you and Brandon was a fine day for us. It was a little bit of a challenge finding the hotel in Killarney, but the location was great.The drive to Ring of Kerry was most scenic but a bit challenging so when we arrived at the course I was a bit stressed out and didn’t play my best golf.We took the shortcut back to Killarney and saw several rainbows along the way. Killeen was a beautiful and challenging course and they were most hospitable. PS Every time I use the ball washer, I think of both of you. I just wanted to send you a quick e-mail of thanks. The trip you booked us was tremendous. Everything went as planned and without a hitch. The golf courses were spectacular, the people of Ireland were fantastic, and the Guinness was delicious! Enough cannot be said about our coach drivers. We only knew Tom for a day, but he couldn’t have been more pleasant. Joe is awesome (i.e. brilliant)!. Thanks again for a trip of a lifetime. Please feel free to use me as a reference for any of your potential clients in America. I have nothing but great things to say! I want to second Dave’s comments. Thanks again for working with us over the past year to make this a trip we will never forget. Beautiful coastline, beautiful golf courses, and wonderful people. Joe was excellent as well. A real pleasure. Best of luck down the road. The trip was one of the best ever! All the boys would agree. Thanks for all your efforts on our behalf. We loved the bus driver and would want him every time. He was a big part of the success of the trip. To echo the sentiment. Thank you for a wonderful time. All of you were a joy to tour Ireland with. Already missing our tour. Please share my thanks with Paddy, Brendan and especially James for all the wonderful experiences last week. I will be back at sometime in the future and look forward to working with you again. Everything was the best! to be getting to eat nearer to 9.30 than 8.30, oh well. As I say they were all very kind and generous with their time. Once again thank you very much and I will be recommending SWING to all my colleagues. Just got back last night after spending a few days in Sligo and Dromoland. The pics came out great!. If you want to throw the group pic on the site that would be fine. 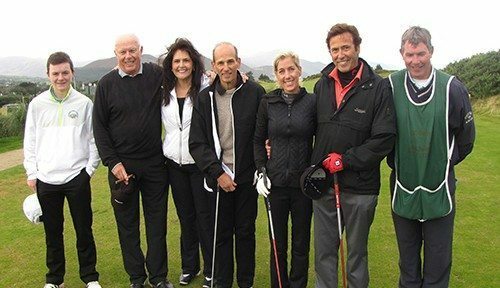 I didn’t play Killarney & Dooks but heard the boys were treated well – as expected. Waterville & Tralee are always so welcoming to us. Eugene is the best and always goes out of his way for us. Killarney G & F is always predictably great to us. 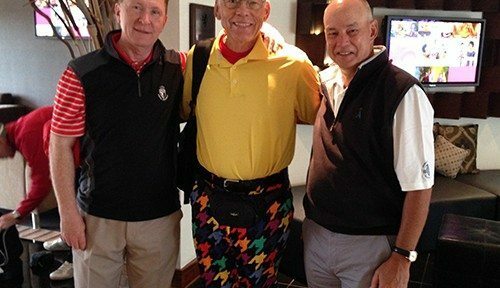 Then there was Ennis GC – the course served our purpose and it was very convenient for us, so overall it was fine. The lodgings were both outstanding places to stay and we would definitely look at both again. If you want other pics, we’ll send some along. I’m straight out for a few days trying to catch up, but I’ll give you a call next week. Best to Brendan and thanks for all your efforts! SWING was great and we will continue to recommend you to our friends who come to us for guidance when they are planning trips to Ireland. All in all, we had a great time and your service made the difference in our choice to come back for our 4th trip to the southwest instead of following our initial plan to make a first trip to South Wales and the Atlantic Coast where logistics were much more difficult to coordinate with the courses there. My oldest son is currently contemplating a trip for next year before his wedding and I will place him in touch with you if he pursues it. The continuing challenges with the AIB have us all concerned for our friends in Ireland so we will encourage our friends who share our good fortune and passion for golf to get to Ireland soon and offer whatever stimulus we can. I am well, thank you. Everything went great! We all thought Ireland was an amazing place to visit. The weather held up well for the most part, better than expected actually. Unfortunately we were fogged in at Old Head so we missed most of the great views yet it still was great fun (we had caddies that pointed out the direction to hit). All the courses were fantastic, especially Ballybunion Old and Waterville. The lodging was excellent as well, they were beyond our expectations. We also found some great restaurants so the food was fantastic as well. Needless to say, we all were thrilled with the trip. Thank you so much for your help. I apologize for not writing to thank you for your help. I certainly will recommend anyone to use you if they are planning to go to Ireland. I can envision our group returning in a few years. So sorry that we didn’t get the opportunity to stop in for a visit while in Tralee. Our schedule kept us busy. By the way, Tralee Golf Club was the most popular course among our group. The views were breathtaking and the back nine is the best I have ever seen. We had the best time imaginable! Six out of seven days were 70 degrees; we ran out of clean Bermuda shorts! Our caddie at Tralee said that Irish school children insist that the best weather of the year is the first week back in school. The accomodations were excellent. It is almost unfair to single one out because everything was so nice. But, we particularly enjoyed the accommodation in Ballybunion. The building looks brand new, first class, and was spotlessly clean. They took very good care of us. 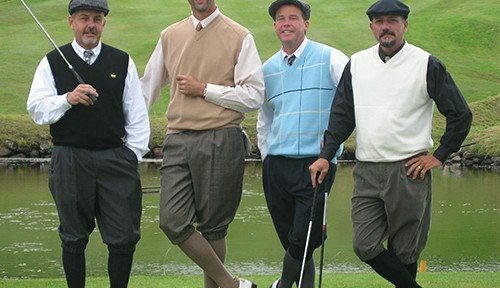 We have already passed the information on Swing Golf on to friends planning a trip next year. I think that it is safe to say that we will be coming back again in the not too distant future. We look forward to working with you again. I just wanted to convey our appreciation for what was a “trip of a lifetime” to quote my wife. I’ve been to Ireland myself several times and always booked it myself, I’m glad that this time I used Swing Golf, the price was the same and everything went off without a hitch. We especially loved our room at Dunraven Arms, Adare was a lovely town to stay in. 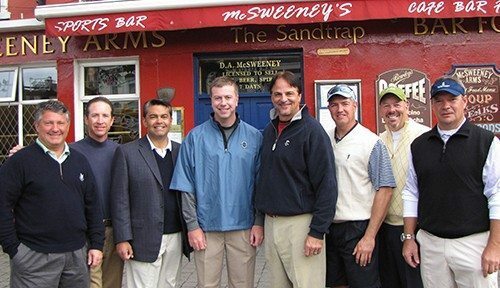 I would highly recommend your company for anyone wanting to take a golf trip to Ireland. We had a terrific time, the weather let us down badly the first day but Tues & Wed were fine. Feedback – all courses a treat, Dooks an absolute favourite, hospitality at Waterville delightful. The lady who ran Tralee Guest House a gem also hotel in Waterville very pleasant. Thank you for your help in getting the trip finally done.